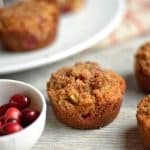 Apple spiced and naturally sweetened muffins with added zucchini make these the perfect fall treat! Well, hello fall. I know you aren’t officially here for another few weeks, but I’m definitely feeling you in the air! Or maybe just wishful thinking. Fall and winter are my favorite seasons, and mostly because of food. Let’s be real, my happiness in life is usually dependent on food. Fall makes me soooo happy! 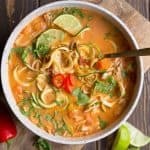 I love the heartiness of soups and comfort food (more of these recipes to follow), and I also am absolutely obsessed with anything pumpkin or apple. But I digress. I don’t like apple pie. Not worth my calories…..
I’m a little off topic, so let’s talk about these muffins. They are worth my calories, and you know what? They are full of healthy goodness! Let’s start with apples in season, zucchini, oats, walnuts, a little flax seed, some great spices, and out comes these delicious little guys. 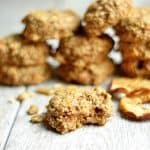 A perfect snack or breakfast, plus they make a great lunch box addition. 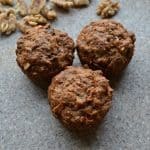 If you read through my many muffin recipes, you will know that I love to freeze these and use them for several breakfasts. This particular batch made 20 muffins! Into the freezer they went after the first breakfast (a few days ago), and they made another appearance this morning when we were running short on time. I love muffins for that reason. My kids love the taste, and I also love that I can keep the sugar content low first thing in the morning. I actually accomplished this baking project on a weekday school morning! I’m sure many of you can appreciate the task of busy morning baking. It’s also rare. But my point in all of this, is that if you invest the extra few minutes 1 morning a week, it will pay off later! 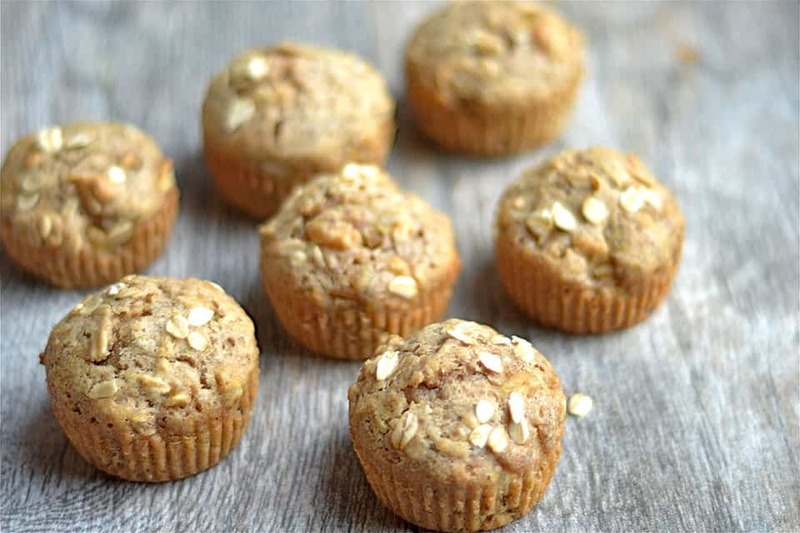 Don’t feel like packing a sandwich in a lunchbox, toss one of these muffins in. Don’t have time to eat breakfast? Pack one of these guys in your bag and eat in the go. They defrost in less than an hour. My husband was very thankful when he was literally running out the door with his shoes in hand, without eating breakfast, and I had 2 of these muffins ready for him to enjoy at work. So are you sold yet? While I type this on a Friday afternoon, I’m enjoying my hot tea. And this muffin. Because they go great together. Time to get on it! 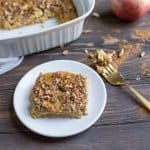 If apple picking is in your near future, add this recipe to your list! 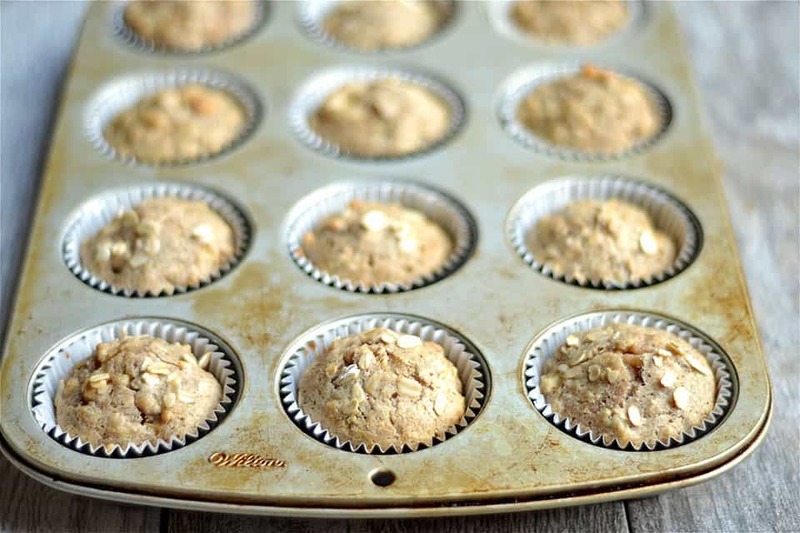 Line a 12 muffin cup pan with muffin liners, and lightly spray the muffin cups with a non-stick spray. In a large bowl, mix together: flour, oats, flax seed, baking soda, sugar, cinnamon, allspice, walnuts, and salt. Set aside. In a medium sized bowl, whisk together wet ingredients: yogurt, coconut oil, egg, vanilla, syrup, and almond milk. 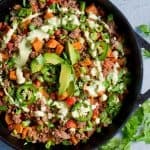 Add wet ingredients to dry, and continue to mix together. 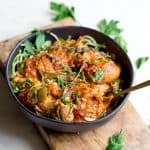 Slowly fold in apples and zucchini. Batter will be thick. Fill muffin cups about 2/3 full with batter, I use an ice cream scoop for this. Bake at 375 for about 15 minutes, or until a toothpick inserted into muffins comes out clean. Cool for 5 minutes, remove muffins from pan. Re-fill muffin cups with remaining batter. I use coconut sugar, as it is a more natural source of sugar. Feel free to substitute with regular sugar or brown sugar if you don't have coconut sugar. 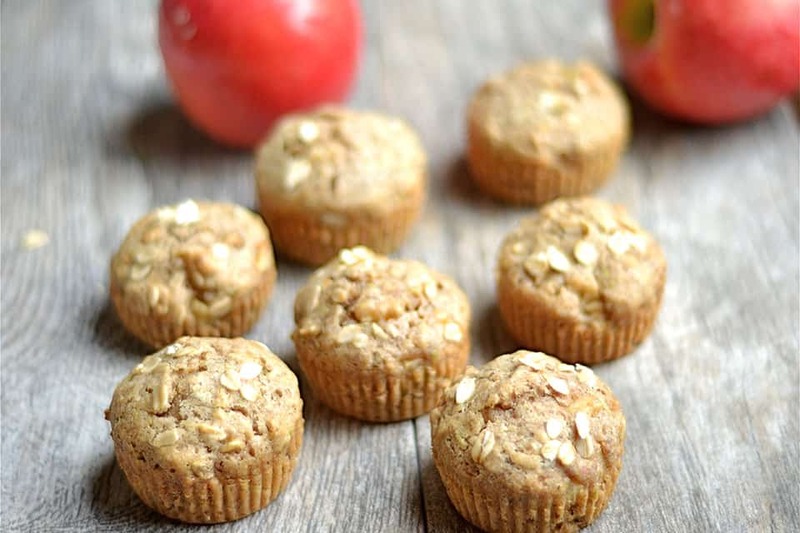 I love how you combined zucchini and apple into one muffin! What a cool concept! 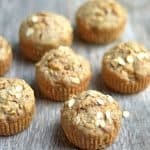 I regularly use muffins as a quick breakfast or midday snack as well, so I’m so glad these are made with whole grains and are low in sugar. Definitely the best kind of muffin. Thanks for sharing!! Thank you Liz!! And happy to have a new fellow muffin lover! Hi! Any ideas on the calorie count for one muffin? Thanks! Hi, just updated the nutrition facts in the notes section of the recipe. It’s per muffin!